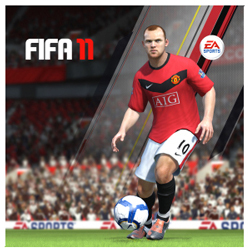 EA SPORTS ™ FIFA Soccer 11  is available in today in Canadian stores. Localized into 18 languages and available in 51 countries, FIFA Soccer 11 is the most popular sports videogame in the world (based on total sales in 2009 according to the NPD). It will be available for the PlayStation®3 computer entertainment system, Xbox 360® videogame and entertainment system, Wii™, PC, Nintendo DS™, PlayStation®2, PSP® (PlayStation®Portable), iPhone® and iPod® touch. FIFA Soccer 11 for Wii will be available throughout North America beginning Oct. 4 and on Nintendo DS throughout Europe and Asia on Oct. 8.